What truly makes YOUR house a HOME?? Family? A favorite item? Good cookin'? A certain place? A certain feeling? Hi Stacey. I was just thinking this weekend that inspite of all the fluffing I might do...what makes this our home is the people we love. For us another part that is very important is our pets. They are messy and hairy but we love them whole heartedly. I think what makes my house a home, is our open door. We have our small family but our door is always open to our extended family, our church family, and those who we are called to help. One of the things I love that always makes me feel "homey" is every wed. I cook for my family (like everynight) but the kids in our youth group are invited to attend as well. We always have such a blessed time with them. Hmmm. I think my house is homey because it's not fussed over and perfect. It has a lot to do with how people are made to feel in your home by your hospitality. Our house is definitely "lived in" with 5 busy kids/adults flopping around. There's always something cooking in the kitchen and home cookin' smells a lot like love. I'm with the crowd here, a family definitely makes a house a home. Every room has a memory. Sounds like a wonderful series! It is absolutely family, but we can do a lot within the walls of our houses to make connecting with each other, warmth & love tangible with good cooking, warm fires, and cozy rooms. WONDERFUL idea for a series - I wish I would have come up with it! 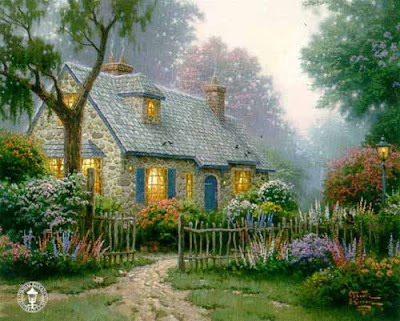 For me, a home is a place that is warm and inviting...very hospitable. A place where laughter is heard often, and hugs are given freely. The air is filled with the smells of dinner and of fresh chocolate chip cookies baking, as a family sits down to a home-cooked meal. Family pictures fill the house, along with soft places to land while reading a good book. Oh. My. Word. Are we doing the same series at the same time? So funny! Well, at least the word is getting out! Looking forward to reading up! For us, it's the people who live there, the inviting smells when you enter & not having everything look untouchable. We like that the kids can always bring their friends over & be comfortable in our home. 4. Family photos - I have many picture walls of pictures of my kids, they would be what I grabbed if I ever had to leave in a hurry! oh, and so many more things! I am always surprised when I walk in sterile "family" homes - life is too short! Have a great day! How is the house sale coming??? Defintely family and comfort. I can't wait for your series. Family makes our house a home. And having all the memories that we are making in our house. What makes our house a home is...our home being welcoming to family and family photos. I do not believe in the 'no family photos in main rooms' theory of design. We have family photos in all areas of our home, and they make me smile. I can't agree more with everyone else: it's the people that fill our house that really make it home-family and friends. Of course the comfy-ness that welcomes everyone in makes it feel much more like home too. Family yes, and the good, the bad and the ugly stuff--you know, those family things that can drive you nuts, but they are your famiy so it is comforting to have around. I also think personal touches, objects from grandparents, photos, handmade kids things--these make a house a home. A house is what you put your home in! Love your blog! It's the welcoming smell when you first walk in the door, pictures of my sons and the blankets my Great Grandma's and Grandma's made me over the years that do it for me. Home...a soft and safe place for family and friends to be themselves. Many tell me, my home is cozy and comfortable. That makes me smile. They also say it smells good...gotta love that. I think, it smells and feels like...HOME.